With the installation of a new president (and his strangely photoshopped smile) many have opined that PCC has entered a bright new era of fewer rules, more freedoms, and quasi-accreditation. A quick look at the Faculty & Staff Commitments section on their Employement Opportunities page show that not much has really changed. Still can’t pick your own church. Still can’t have a beer. Still can’t…watch The Goonies? Meet the new old-fashioned boss, same as the old old-fashioned boss. Everyone understood this hypocrisy implicitly, almost at a cellular level, far beneath thought. For a Russian in Soviet times, navigating every moment of citizenship involved countless silent calculations of this type. But the instant people were permitted to think about all this and question the unwritten rules out loud, it was like the whole country woke up from a dream, and the system fell apart in a matter of months. That happened before my eyes in 1990 and 1991, and I never forgot it. This sounds so familiar to me. In the dorm rooms, classrooms, church auditoriums, and camp cabins of fundamentalism there are also two rule books. Don’t listen to music with a beat, unless you’re the son of a favored deacon. Don’t go to the beach, unless you’re a big tither. Don’t wear the wrong clothes, unless you’re the pastor’s granddaughter. And above all, don’t fall from grace or else the indulgences granted to you by the local Baptist pope will be rescinded and you’ll find that the same rules that apply to the unwashed masses are suddenly laid on you as well. 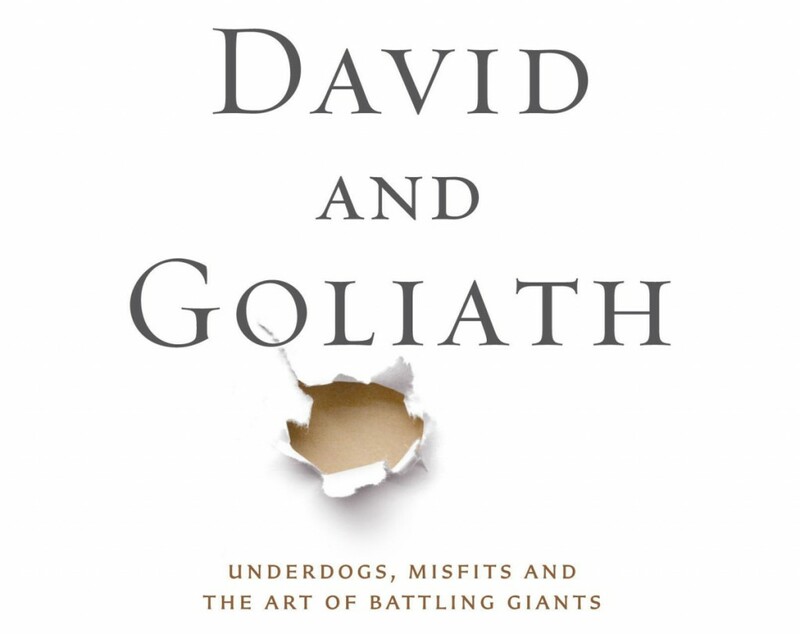 I’ve been reading the book David and Goliath by author Malcom Gladwell which looks into the stories of underdogs that unexpectedly win out over overwhelming odds. In a place where people have no voice, where the “unwritten” and arbitrary nature of the rules can be expanded to include any behavior, and where the authority often gives a pass to the “good eggs” while dealing harshly with those perceived as “rebellious” is it any wonder that many people eventually come to realize that the authority of such places is illegitimate? It’s more incredible to me that some people still think that there is legitimacy to this kind of capricious and autocratic method of ruling. Pensacola Christian College loves to talk about its high standards and the way it strives for excellence. What they don’t highlight so much is that excellence is a blood sport that often puts students at risk. It seems that you can’t make an omelette without breaking some legs. Even though her roommates asked for help, explaining that Cassie was unable to sit up in the wheelchair the clinic told them to use all they were told is “That’s all we have. You’ll just have to manage.” A slow trip down to the lobby with her propped in the wheelchair revealed even more bad news: there was no wheelchair access to the dorm. The only option was a small wooden ramp still propped up for students who were moving in heavy luggage at the start of the semester that hadn’t yet been removed. As carefully as they could, they attempted to navigate down to the sidewalk but the chair slipped, dumping Cassie onto the ground. Students, these rules are here for your protection. After several hours of waiting in the clinic under the ever-suspicious eyes of the staff who’s main job is apparently to discourage people from skipping class, an ambulance showed up to take her to the nearby hospital where she was misdiagnosed with a pinched nerve. A representative from the dean’s office went with her and talked to the doctors on her behalf without any kind of written HIPAA authorization. She was then summarily given pain killers and whisked back to campus to her fifth floor room in Dixon tower to recuperate. The horror didn’t end there. One night during her convalescence there was a fire drill. Cassie was still on the 5th floor of the dorm, even though the Residence Manager and the Dean’s office knew that she could barely walk let alone descend and re-climb stairs. Her roommates were literally forced to carry her. Of course PCC isn’t known for really caring much about fire safety anyway. For years the rule has remained on the books that all female students must be in “proper” attire before they leave their rooms for a fire drill. If you happen to be sleeping in pajama pants, you must take the time to put on a skirt before you try to escape the flames. If you should perish then at least you’ll know you died for the cause of not tempting the fire fighters to lust after you. Finally, after trying to tough it out and even trying to go back to class, my future wife had taken all she could bear. She told the dean’s office that she was leaving and they cut up her ID card, the final act of withdrawing from the college. However, since Pensacola airport is far from a major hub, her flight home was to leave at 7:00 a.m., meaning she would need to leave the college by 6:00, well before the gates opened. A good friend of ours petitioned the dean’s office to let him drive Cassie to the airport and help her with her bags. 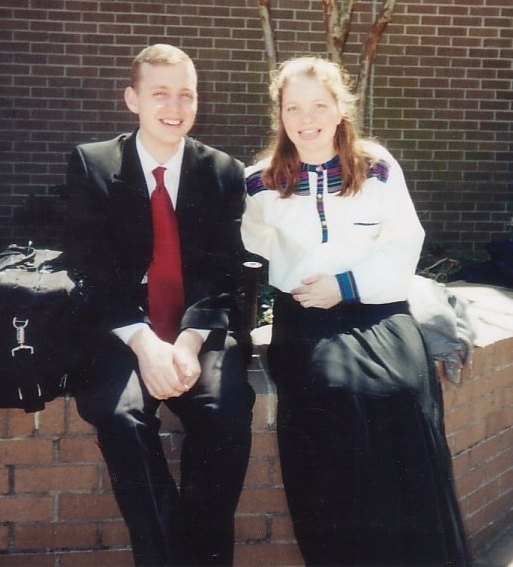 He was twenty-three years old and therefore was allowed to go off-campus with non-student girls — of which my wife was now one. The dean’s office refused his request to help. Rather than risk the college’s precious testimony by having a Christian guy help his injured friend to the airport, Cassie was instead forced to take a cab driven by a total stranger who left her on the airport curb without a way to carry her luggage. The college must keep up its appearances no matter what the risk to you. You don’t matter. They do. After a few weeks of being home my wife received a letter from the college. It should have been a note of apology or a letter expressing regret at how badly they had managed her entire situation. Instead it was a bill for the remaining weeks of the semester since she had crossed the six-week threshold by a few days. Apparently the only thing even more important than appearances at PCC is getting paid. Keep the rules. Raise the standard. Strive for excellence. If you’re too broken in body or spirit to manage that then we simply don’t want your kind around here. How can a place that both holds and demonstrates such beliefs be Christian?